Hudson Valley for No GMOs: HV 4 No GMOs at Barnfest! HV 4 No GMOs at Barnfest! Sue Talking to Chevy Chase about GMOS! 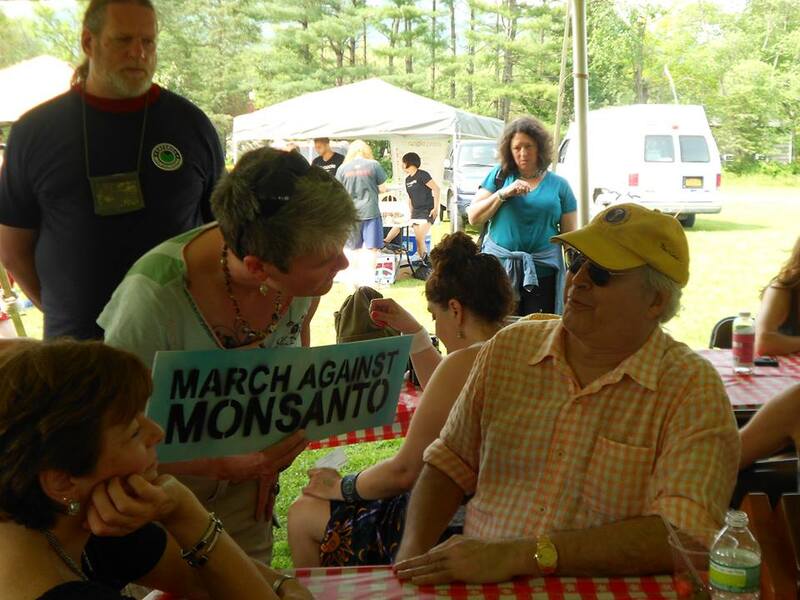 A warm welcome to the many people who signed up today at Barnfest to be part of Hudson Valley for No GMOs. It was heartening to see so many well informed folks who unhesitatingly added their names and emails to our growing list of supporters. We will continue to work hard to bring you all the latest news on the NO GMOs front. Thanks to the organizers of Barnfest - you created a lovely day with many vendors working to preserve our sacred earth, food and water. We thank all who were there. There was also delicious local, non-GMO, food and music. I missed the honoring of Chevy and Jayni Chase for their lifetime of environmental work- but what a fitting place for such an honor. Thanks too to Sue Edwards and Kory Findley (who does GMO-free brunches!) and special thanks to Joe Barbarito and Russel Bimbo for breaking down the exhibit and safeguarding all.